Today I have C.J. 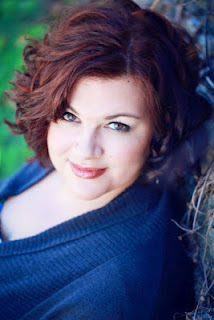 Redwine, author of Defiance, on the blog! CJR: I almost licked my monitor. I maybe teared up a bit. I definitely squealed. And then I emailed it to my besties so they could lick their monitors and squeal too. 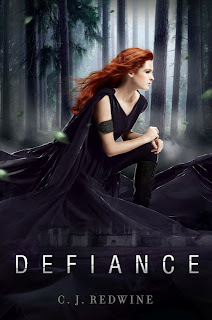 TCR: What surprised you the most about the writing and publication process for Defiance? CJR: I was surprised by how much I loved the editing process. My editor, Kristin Rens, is so skilled at getting to the heart of the story and she pushes me hard without giving me the answers. We work well together. At the end of the editing process, I had the book I'd always meant to write. TCR: What's the best place for readers to stay up to date on you and your books? Thanks so much, C.J.! And read on to learn more about Defiance! "Within the walls of Baalboden, beneath the shadow of the city's brutal leader, Rachel Adams has a secret. While other girls sew dresses, host dinner parties, and obey their male Protectors, Rachel knows how to survive in the wilderness and deftly wield a sword. When her father, Jared, fails to return from a courier mission and is declared dead, the Commander assigns Rachel a new Protector, her father's apprentice, Logan--the same boy Rachel declared her love for two years ago, and the same boy who handed her heart right back to her. Left with nothing but fierce belief in her father's survival, Rachel decides to escape and find him herself. But treason against the Commander carries a heavy price, and what awaits her in the Wasteland could destroy her. As Rachel and Logan battle their way through the Wasteland, stalked by a monster that can't be killed and an army of assassins out for blood, they discover romance, heartbreak, and a truth that will incite a war decades in the making." Defiance will be available August 28th, 2012! It is a gorgeous cover. I'm looking forward to reading DEFIANCE.